[B1] Signal Processing and Machine Learning for Biomedical Big Data, Editors: Ervin Sejdic, Tiago H. Falk, CRC Press, July 2018. [J66] L. Trambaiolli, C. Biazoli, A. Cravo, T. Falk, J. Sato, fNIRS-based affective neurofeedback: feedback effect, illiteracy phenomena, and whole-connectivity profiles, Neurophotonics, Vol. 5, No. 3, paper 035009, 2018. [J65] R. Cassani, M. Estarellas, R. San-Martin, F.. Fraga and T.. Falk, Systematic review on resting-state EEG for Alzheimer’s disease diagnosis and progression assessment, Disease Markers, vol. 2018, Article ID 5174815, 26 pages, 2018. [J64] M. Sarria-Paja and T. Falk, Fusion of Bottleneck, Spectral and Modulation Spectral Features for Improved Speaker Verification of Neutral and Whispered Speech, Speech Communications, Vol. 102, pp. 78-86, Sept. 2018. [J63] A. Avila, Z. Akhtar, J. Santos, D. O’Shaughnessy and T. Falk, Feature Pooling for Spontaneous Speech Based Emotion Recognition In-the-Wild, IEEE Transactions on Affective Computing, in press, 2018. [J62] F. Fraga, G. Mamani, E. Johns, G. Tavares, T. Falk, N. Phillips, Early Diagnosis of Mild Cognitive Impairment and Alzheimer’s with Event-Related Potentials and Event-Related Desynchronization in N-Back Working Memory Tasks, Computer Methods and Programs in Biomedicine, Vol. 164, pp. 1-13, Oct. 2018. [J61] J. Santos and T. Falk, Speech Dereverberation with Context-aware Recurrent Neural Networks, IEEE Transactions on Audio, Speech Language Processing, Vol. 26, No. 7, pp. 1236-1246, July 2018. [J60] D. Tobon and T. Falk, Adaptive Spectro-Temporal Filtering for Electrocardiogram Signal Enhancement, IEEE Journal of Biomedical and Health Informatics, Vol. 22, No. 2, pp. 421-428, March 2018. [J59] A. Clerico, A. Tiwari, R. Gupta, S. Jayaraman, T. Falk, Electroencephalography Amplitude Modulation Analysis for Automated Affective Tagging of Music Video Clips, Frontiers in Computational Neuroscience, Vol. 11, Article 115, Jan. 2018, 13 pages. [J58] D. Tobon, S. Jayaraman, T. Falk, Spectro-Temporal Electrocardiogram Analysis for Noise-Robust Heart Rate Variability Measurement, Journal of Biomedical and Health Informatics, Vol. 5, 2017, 11 pages. [J57] H. Banville, R. Gupta and T. Falk, Mental Task Evaluation for Hybrid NIRS-EEG Brain-Computer Interfaces, Computational Intelligence and Neuroscience (Special Issue on Fusion Methods for Biosignal Analysis: Theory and Applications), Volume 2017, Article ID 3524208, 24 pages. [J56] Z. Akhtar, T. Falk, Audio-Visual Multimedia Quality Assessment: A Comprehensive Survey, IEEE Access, Vol. 5, Sept. 2017, pp. 21090-21117. [J55] R. Bouserhal, T. Falk, J. Voix, Modeling Speech Level as a Function of Background Noise Level and Talker-to-Listener Distance for Talkers Wearing Hearing Protection Devices, Journal of Speech, Language, and Hearing Research, Newly Published. doi:10.1044/2017_JSLHR-S-17-0052, Dec. 2017. [J54] M. Paja and T. Falk, Fusion of Auditory Inspired Amplitude Modulation Spectrum and Cepstral Features for Whispered and Normal Speech Speaker Verification, Computer Speech & Language, Vol. 45, pp. 437–456, Sept. 2017. [J53] Z. Akhtar and T. Falk, Visual Nonverbal Behavior Analysis: The Path Forward, IEEE Multimedia, in press, 2017. [J52]	R. Gupta, T. Falk, Latent Factor Analysis for Synthesized Speech Quality-of-Experience Assessment, J. Quality and User Experience, Vol.2, No. 1, pp. 1-16, 2017. [J51] R. Bouserhal, T. Falk, J. Voix, In-ear microphone speech quality enhancement via adaptive filtering and artificial bandwidth extension, Journal of the Acoustical Society of America, Vol. 141, No. 3, pp. 1321-1331, 2017. [J50] R. Cassani, T. Falk, F. Fraga, M. Cecchi, D. Moore, R. Anghinah, Towards Automated Electroencephalography-based Alzheimer’s Disease Diagnosis Using Portable Low-density Devices, Biomedical Signal Processing and Control, Vol. 33, pp. 261–271, March 2017. [J49] R. Gupta, H. Banville, T. Falk, Multimodal Physiological Quality-of-Experience Assessment of Text-to-Speech Systems, IEEE Journal of Selected Topics in Signal Processing, Special Issue on Measuring Quality of Experience for Advanced Media Technologies and Service, Feb. 2017. [J48] R. Gupta, K. Laghari, H. Banville, T. Falk, Using Affective Brain-Computer Interfaces to Characterize Human Influential Factors for Speech Quality-of-Experience Perception Modelling, Human-centric Computing and Information Sciences, Vol. 6, No. 1, pp. 1-19, 2016. [J47] H. Banville and T. Falk, A Comprehensive review of hybrid brain-computer interfaces: Recent advances and open challenges, Brain-Computer Interface, Vol. 3, No. 1, pp. 9-46, 2016. [J46] R. Bouserhal, E. MacDonald, T. Falk, J. Voix, Variations in voice level and fundamental frequency with changing background noise level and talker-to-listener distance while wearing hearing protectors: A pilot study, International Journal of Audiology, Vol. 55, Supp. 1, pp. S13-S20, 2016. [J45] R. Gupta, K. Laghari, T. Falk, Relevance Vector Classifier Decision Fusion and EEG Graph-Theoretic Features for Automatic Affective State Characterization, Neurocomputing, Vol. 174, Part B, pp. 875–884, Jan. 2016. [J44] M. Paja and T. Falk, Strategies to Enhance Whispered Speech Speaker Verification: A Comparative Analysis, Journal of the Canadian Acoustical Association, Vol. 43, No. 4, pp. 31-45, Dec. 2015. [J43] T. Falk, V. Parsa, J. Santos, K. Arehart, O. Hazrati, R. Huber, J. Kates, and S. Scollie, Objective Quality and Intelligibility Prediction for Users of Assistive Listening Devices, IEEE Signal Processing Magazine, Special Issue on Signal Processing Techniques for Assisted Listening, Vol. 32, No. 2, pp. 114-124, March 2015. [J41] J. Santos and T. Falk, Updating the SRMR-CI Metric for Improved Intelligibility Prediction for Cochlear Implant Users, IEEE/ACM Trans. Audio, Speech, and Language Processing, Vol. 22, No. 12, pp. 2197-2206, Dec. 2014. [J40] D. Thompson, L. Quitadamo, L. Mainardi, K. Laghari, S. Gao, P.-J. Kindermans, J. Simeral, R. Fazel-Rezai, M. Matteucci, T. Falk, L. Bianchi, C. Chestek, J. Huggins, Performance Measurement for Brain-Computer or Brain-Machine Interfaces: A Tutorial, Journal of Neural Engineering, Vol. 11, No. 3, June 2014. [J39] R. Cassani, T. Falk, F. Fraga, P. Kanda, and R. Anghinah, The effects of automated artifact removal algorithms on electroencephalography-based Alzheimer’s disease diagnosis, Frontiers in Aging Neuroscience, Vol. 6, No. 55, March 2014. [J38] S. Cosentino, T. Marquardt, D. McAlpine, J. Culling, and T. Falk, A model that predicts the binaural advantage to speech intelligibility from the mixed target and interferer signals, Journal of the Acoustical Society of America, Vol. 135, No. 2, pp. 796-807, February 2014. [J37] S. Cosentino, T. Falk, D. McAlpine, and T. Marquardt, Cochlear Implant Filterbank Design and Optimization: A Simulation Study, IEEE/ACM Trans. Audio Speech Lang. Process., Vol. 22, No. 2, pp. 347-353, 2014. [J36] K. Connelly, K. Laghari, M. Mokhtari, and T. Falk, Approaches to Understanding the Impact of Technologies for Aging-in-Place: A Mini-Review, Gerontology, DOI: 10.1159/000355644, pp. 1-7, 2014. [J35] F. Fraga, T. Falk, P. Kanda, R. Anghinah, Characterizing Alzheimer’s Disease Severity via Resting-Awake EEG Amplitude Modulation Analysis, PLoS ONE, 8(8): e72240. doi:10.1371/journal.pone.0072240, August 2013. [J34] K. Laghari, M. Hyder, M. Haun, C. Hoene, N. Crespi, T. Falk, An Investigation into the Relationship Between Perceived Quality-of-Experience and Virtual Acoustic Environments: the Case of 3D Audio Telephony, Journal of Universal Computer Science, Vol. 19, No. 12, pp. 1718-1735, 2013. [J33] D. Vallejo, T. Falk and M. Maier, Context Awareness in WBANs: A Survey on Medical and Non-Medical Applications” IEEE Wireless Communications Magazine (Special Issue on Wireless Networking for e-Health Applications), Vol. 20, No. 4, pp. 30-37, August 2013. [J32] M. Paja and T. Falk, Whispered Speech Detection in Noise Using Auditory-Inspired Modulation Spectrum Features, IEEE Signal Proc Letters, Vol. 20, No. 8, pp. 783-786, Aug. 2013. [J31] J. Santos, S. Cosentino, O. Hazrati, P. Loizou, T. Falk, Objective Speech Intelligibility Measurement for Cochlear Implant Users in Complex Listening Environments, Speech Communications, Vol. 55, No. 7–8, pp. 815–824, Sept. 2013. [J30] D. Suelze, V. Parsa, and T. Falk, On a Reference-Free Speech Quality Estimator for Hearing Aids, J. Acoustical Society America (Express Letters), Vol. 133, No. 5, pp. EL412-EL418, May, 2013. [J29] T. Falk, F. Fraga, L. Trambaiolli, and R. Anghinah, EEG Amplitude Modulation Analysis for Semi-Automated Diagnosis of Alzheimer’s Disease, EURASIP J. Advances in Signal Process. (Special Issue on Advances in Nonstationary Electrophysiological Signal Analysis and Processing), Volume 2012, Issue 1, ID:192, 9 pages. [J28] T. Falk, A. Andrews, F. Hotzé, E. Wan, and T. Chau, Evaluation of an Ambient Noise Insensitive Hum-Based Powered Wheelchair Controller, Disability and Rehabil. : Assistive Technol., Vol. 7, No. 3, pp. 242-248, May 2012. [J26] M. Lui, T. Falk, T. Chau, Development and Assessment of a Dual-Output Vocal Cord Vibration Switch for Persons with Multiple Disabilities, Disability Rehabil: Assistive Technol, Vol. 7, No. 1, 2012, pp. 82-88. [J25] T. Falk, C. Tam, H. Schwellnus, and T. Chau, On the Development of a Computer-based Handwriting Assessment Tool to Objectively Quantify Handwriting Proficiency in Children, Comput Methods Programs Biomed, Vol. 104, No. 3, Dec. 2011, pp. e102-e111. [J24] S. Möller, W.-Y. Chan, N. Côte, T. Falk, A. Raake, and M. Wältermann, Speech Quality Estimation: Models and Trends, IEEE Signal Process. Mag., Vol. 8, No. 6, Nov 2011, pp. 18-28. [J23] S. Wu, T. Falk, and W.-Y. Chan, Automatic Speech Emotion Recognition Using Modulation Spectral Features, Speech Commun, Volume 53, Issue 5, May-June 2011, pp. 768-785. [J22] T. Falk, M. Guirgis, S. Power, T. Chau, Taking NIRS-BCIs Outside the Lab: Achieving Robustness Against Ambient Noise, IEEE Trans Neural Syst Rehab Eng, Vol.19, No.2, pp.136-146, 2011. [J21] B. Babaali, H. Sameti, T. Falk, A Model Distance Maximizing Framework For Speech Recognizer-Based Speech Enhancement, Int J Electron Commun, Vol. 65, No. 2, pp. 99-106, Feb. 2011. [J20] T. Falk, C. Tam, H. Schwellnus, and T. Chau, Grip Force Variability and Its Effects on Children’s Handwriting Legibility, Form and Stroke, J. Biomech. Eng., Vol. 132, No. 11, Nov. 2010. [J19] T. Falk, C. Zheng, W.-Y. Chan, A Non-Intrusive Quality and Intelligibility Measure of Reverberant and Dereverberated Speech, IEEE Trans Audio Speech Lang Process, Vol. 18, No. 7, pp. 1766-1774, Sept. 2010. [J18] N. Alves-Kotzev, T. Falk, and T. Chau, A Novel Integrated Mechanomyogram-Vocalization Access Solution, Med. Eng. Phys., Vol. 32, pp. 940-944, 2010. [J17] T. Falk, M. Guirgis, S. Power, and T. Chau, On the Use of Peripheral Autonomic Signals for Binary Control of Body-Machine Interfaces, Physio. Meas., Vol. 31, pp. 1411-1422, 2010. [J16] E. Sejdic, T. Falk, C. Steele, and T. Chau, Vocalization Removal for Improved Segmentation of Swallowing Accelerometry Signals, Med. Eng. Phys., Vol. 32, No. 6, pp. 668-672, July 2010. [J14] T. Falk and W.-Y. Chan, Temporal Dynamics for Blind Measurement of Room Acoustical Parameters, IEEE Trans. Instrum. Meas., Vol. 59, No. 4, pp. 978-989, April 2010. [J13] E. Lu, T. Falk, G. Teachman, and T. Chau, Assessing the Viability of a Vocal Cord Vibration Switch for Four Children with Multiple Disabilities, Open Rehabil. J., Vol.3, pp.55-61, 2010. [J12] S. Power, T. Falk, and T. Chau, Classification of Prefrontal Activity due to Mental Arithmetic and Music Imagery Using Hidden Markov Models and Frequency Domain Near-Infrared Spectroscopy, J. Neural Eng., Vol. 7, No. 2, Article ID 026002, 9 pages, 2010. [J11] T. Falk and W.-Y. Chan, Modulation Spectral Features for Robust Far-Field Speaker Identification, IEEE Trans. Audio Speech Lang. Process., Vol.18, No.1, pp. 90-100, Jan. 2010. [J10] J. Chan, T. Falk, G. Teachman, J. McKee, and T. Chau, Evaluation of a Vocal Cord Vibration Switch as an Alternative Access Pathway for an Individual with Hypotonic Cerebral Palsy – a Case Study, Disability and Rehabil. : Assistive Technol., Vol. 5, No. 1, pp. 69-78, Jan. 2010. [J9] T. Falk and W.-Y. Chan, Performance Study of Objective Speech Quality Measurement for Modern Wireless-VoIP Communications, J. Audio Speech Music Process., Vol. 2009, 11 pages, 2009. [J8] T. Falk and W.-Y. Chan, Hybrid Signal-and-Link-Parametric Quality Measurement for VoIP Communications, IEEE Trans. Audio Speech Lang. Process., Vol.16, No.8, pp.1579-1589, 2008. [J7] T. Falk and S. Möller, Towards Signal Based Instrumental Quality Diagnosis for Text-to-Speech Systems, IEEE Signal Processing Lett., Vol. 15, pp. 781-784, 2008. [J6] T. Falk, H. Yuan, W.-Y. Chan, Single-Ended Quality Measurement of Noise Suppressed Speech Based on Kullback-Leibler Distances, J. Multimedia, Vol. 2, No. 5, pp. 19-26, Sept. 2007. [J5] T. Falk and W.-Y. Chan, Single-Ended Speech Quality Measurement Using Machine Learning Methods, IEEE Trans. Audio Speech Lang. Process., Vol. 14, No. 6, pp.1935-1947, Nov. 2006. [J4] T. Falk and W.-Y. Chan, Non-Intrusive Speech Quality Estimation Using Gaussian Mixture Models, IEEE Signal Processing Lett., Vol. 13, No. 2, pp. 108-111, Feb. 2006. [J3] C. Pimentel, T. Falk, and L. Lisboa, Finite-State Markov Modeling of Correlated Rician Fading Channels, IEEE Trans. Veh. Technol., Vol. 53, No. 5, pp. 1491-1501, Sept. 2004. [J2] H. M. de Oliveira, L. Soares, and T. Falk, A Family of Wavelets and a New Orthogonal Multiresolution Analysis Based on the Nyquist Criterion, J. Braz. Telecommun. Soc., Vol. 18, No. 1, pp. 1-8, July 2003. [C132]	A. Avila, J. Alam, D. O’Shaughnessy, T. Falk, Investigating Speech Enhancement and Perceptual Quality for Speech Emotion Recognition, accepted, Interspeech 2018. [C131]	Z. Akhtar, J. Monteiro and T. Falk, Adversarial Examples Detection Using No-Reference Image Quality Features, accepted, 52nd Annual IEEE International Carnahan Conference on Security Technology, 2018. [C130]	M-A Moinnereau, S. Karimian-Azari, T. Sakuma, H. Boutani, L. Gheorghe, and T. Falk, EEG Artifact Removal for Improved Automated Lane Change Detection while Driving, accepted IEEE SMC Conference, Brain-Machine Interface Systems Workshop, 2018. [C129]	I. Albuquerque, A. Tiwari, J-F Gagnon, D. Lafond, M. Parent, S. Tremblay and T. Falk, On the Analysis of EEG Features for Mental Workload Assessment During Physical Activity, IEEE SMC Conference, Brain-Machine Interface Systems Workshop, 2018. [C128]	L. Trambaiolli, R. Cassani, C. Biazoli, A. Cravo, J. Sato, T. Falk, Resting-awake EEG Amplitude Modulation can Predict Performance of an fNIRS-based Neurofeedback Task, accepted, IEEE SMC Conference, Brain-Machine Interface Systems Workshop, 2018. [C127]	R. Cassani, S. Narayanan, T. Falk, Respiration Rate Estimation from Noisy Electrocardiograms Based on Modulation Spectral Analysis, CMBEC 2018. [C126]	I. Albuquerque, J. Monteiro, L. Pavlovic, F. Ephrem, D. Lucaci, and T. Falk, Multimodal Assessment of Human Innovation Perception Based on Eye Tracking, Electroencephalography and Electrocardiography, CCECE 2018. [C125]	E. Santos, M-A Moinnereau, T. Falk, and F. Fraga, Use of EEG Source Localization to Improve the Accuracy of a BCI System in a Three-Task Motor Imagery Paradigm, 7th International BCI Meeting, Jan. 2018. [C124]	M-A Moinnereau, S. Karimian-Azari, T. Sakuma, H. Boutani, L. Gheorghe, and T. Falk, Automated EEG Enhancement and Recurrent Neural Networks for Lane Change Prediction during Driving, 7th International BCI Meeting, Jan. 2018. [C123]	R. Gupta, A. Avila, and T. Falk, Towards a neuro-inspired no-reference instrumental quality measure for text-to-speech systems, QoMEX 2018. [C121]	S. Braun, J. Santos, E. Habets, T. Falk, A Dual-Channel Modulation Spectral Metric for Direct-To-Reverberation Ratio Estimation, ICASSP 2018. [C120]	Z. Akhtar, S. Bedoya, T. Falk, Improved Audio-Visual Laughter Detection via Multi-Scale Multi-Resolution Image Texture Features and Classifier Fusion, ICASSP 2018. [C119]	A. Avila, J. Monteiro, D. O’Shaughnessy, and T. Falk, Speech Emotion Recognition on Mobile Devices Based on Modulation Spectral Feature Pooling and Deep Neural Networks, ISSPIT 2017. [C118]	Z. Akhtar, T. Falk, Combining Left and Right Wrist Vein Images for Personal Verification, IPTA2017. [C117]	A. Drouin-Picaro, I. Albuquerque, J-F Gagnon, D. Lafond, T. Falk, EEG Coupling Features: Towards Mental Workload Measurement Based on Wearables, SMC’17. [C116]	Z. Akhtar, V. Youssofzadeh, A. Amiri, and T. Falk, An Automated Framework for Emotional fMRI Data Analysis Using Covariance Matrix, GlobalSIP 2017. [C115]	Z. Akhtar, A. Buriro, B. Crispo, T. Falk, Multimodal Smartphone User Authentication Using Touchstroke, Phone-Movement and Face Patterns, GlobalSIP 2017. [C114]	S. Karimian-Azari and T. Falk, Modulation Spectrum Based Beamforming for Speech Enhancement, WASPAA 2017. [C113]	M. Paja and T. Falk, Variants of mel-frequency cepstral coefficients for improved whispered speech speaker verification in mismatched conditions, EUSIPCO 2017, Aug. 2017. [C112]	D. Tobon, S. Jayaraman, and T. Falk, Improved Heart Rate Variability Measurement Based on Modulation Spectral Processing of Noisy Electrocardiogram Signals, IEEE 14th International Conference on Wearable and Implantable Body Sensor Networks, May 2017. [C111]	M. Senoussaoui, J. Santos, and T. Falk, Speech Temporal Dynamics Fusion Approaches for Noise-Robust Reverberation Time Estimation, ICASSP 2017. [C110]	F. Fraga, L. Ferreira, T. Falk, E. Johns, N. Phillips, Event-related Synchronization responses to N-Back Memory Tasks Discriminate Between Healthy Aging, Mild Cognitive Impairment, and Mild Alzheimer’s Disease, ICASSP 2017. [C109]	M. Estarellas, R. Cassani, T. Falk, Assessment of EEG-Based Biomarkers for Alzheimer’s Disease Progression, AD/PD 2017. [C107] R. Gupta and T. Falk, Physiological Quality-of-Experience Assessment of Text-to-Speech Systems, IEEE MMSP’16, short paper. [C106] S. Bedoya and T. Falk, Laughter Detection based on the Fusion of Local Binary Patterns, Spectral and Prosodic Features, IEEE MMSP’16. [C105] B. Cauchi, J. Santos, T. Falk, S. Goetze, P. Naylor, S. Doclo, Predicting the quality of processed speech by combining modulation based features and model trees, ITG Conference on Speech Communication 2016. [C104] J. Santos, R. Bouserhal, J. Voix, and T. Falk, Objective Speech Quality Estimation of In-Ear Microphone Speech, PQS’2016. [C103] A. Avila, B. Cauchi, S. Goetze, S. Doclo, T. Falk, Performance Comparison of Intrusive and Non-instrusive Instrumental Quality Measures for Enhanced Speech, IWAENC 2016. [C102] A. Clerico, C. Chamberland, P-E. Michon, S. Tremblay, T. Falk, J-C Gagnon and P. Jackson, Biometrics and classifier fusion to predict the fun-factor in video gaming, IEEE Computational Intelligence and Games Conferences 2016. [C100] A. Drouin and T. Falk, Using Deep Neural Networks for Natural Saccade Classification from Electroencephalograms, IEEE EMBS ISC, 2016. [C99] R. Gupta, M. Abadi, F. Morreale, J. Cabre, T. Falk, N. Sebe, A Quality Adaptive Multimodal Affect Recognition System for User-Centric Multimedia Indexing, ICMR’16. [C98] M. Parent, J-F Gagnon, T. Falk, S. Tremblay, Modeling Operator Functional State for Emergency Response Management, ISCRAM 2016. [C97] M. Paja, M. Senoussaoui, D. O’Shaughnessy, T. Falk, Feature Mapping, Score-, and Feature-Level Fusion for Improved Normal and Whispered Speech Speaker Verification, ICASSP, 2016. [C96] R. Bouserhal, E. MacDonald, T. Falk, and J. Voix, The Effect of Occluding the Ear on Variations in Voice Level and Fundamental Frequency with Changing Background Noise Level and Talker-to-Listener Distance, ARO MidWinter Meeting, 2016, abstract. [C94] J. Santos and T. Falk, Blind room acoustics characterization using recurrent neural networks and modulation spectrum dynamics, AES 60th International Conference, 2016. [C93] M. Senoussaoui, J. Santos, T. Falk, SRMR Variants for Improved Blind Room Acoustics Characterization, ACE Challenge, WASPAA, 2015. [C92] R. Gupta, H. Banville, T. Falk, PhySyQX: A Database for Physiological Evaluation of Synthesized Speech Quality-of-Experience, IEEE Workshop on Applications of Signal Processing to Audio and Acoustics (WASPAA). Data available here. [C91] R. Cassani and T. Falk, Automated Alzheimer’s Disease Diagnosis Using a Portable 7-Channel Electroencephalography Device, 2015 World Congress on Medical Physics and Biomedical Engineering, 2015. [C89] M. Paja, M. Senoussaoui, and T. Falk, The effects of whispered speech on state-of-the-art voice based biometrics systems, 2015 IEEE Canadian Conference of Electrical and Computer Engineering. [C88] D. Vallejo and T. Falk, Online ECG Quality Assessment for Context-Aware Wireless Body Area Networks, 2015 IEEE Canadian Conference of Electrical and Computer Engineering. [C87] A. Clerico, R. Gupta, and T. Falk, Mutual Information Between Inter-Hemispheric EEG Spectro-Temporal Patterns: A New Feature for Automated Affect Recognition, 2015 IEEE Neural Engineering Conference. [C86] R. Gupta and T. Falk, Affective State Characterization based on Electroencephalography Graph-Theoretic Features, 2015 IEEE Neural Engineering Conference. [C84] R. Bouserhal, T. Falk, and J. Voix, Modeling Speech Production in Noise to Code the Vocal Effort for Use with Communication Headsets, 10th European Congress and Exposition on Noise Control Engineering, 2015. [C80] R. Cassani and T. Falk, Gaze and BCIs as Gaming Inputs: Opportunities and Open Challenges, EyePlay Workshop, CHI Play’2014. [C79] M. Senoussaoui, M. Paja, J. Santos, T. Falk, Model Fusion for Multimodal Depression Classification and Level Detection, 4th Intl. Audio/Visual Emotion Challenge and Workshop, 2014. [C76] A. Avila, M. Santos, F. Fraga, and T. Falk, Investigating the use of Modulation Spectral Features within an I-vector Framework for Far-Field Automatic Speaker Verification, Intl. Telecommunications Symposium, 2014. [C75] T. Falk, H. Banville, S. Bishundayal, R. Cassani, A. Clerico, L. Dahmani, R. Gupta, A. Ratnarajah, N. Phillips, and V. Bohbot, EEG-Theta modulation is greater in spatial learners than response learners: A scalp-EEG study in young adults tested on a virtual navigation task, Neuroscience 2014. [C73] A. Avila, M. Paja, F. Fraga, D. O’Shaughnessy, and T. Falk, Improving the Performance of Far-Field Speaker Verification Using Multi-Condition Training: The Case of GMM-UBM and i-vector Systems, Interspeech’2014. [C72] J. Santos, M. Senoussaoui, and T. Falk, An improved non-intrusive intelligibility metric for noisy and reverberant speech, IWAENC’2014. [C71] R. Cassani, T. Falk, F. Fraga, P. Kanda, and R. Anghinah, Towards Automated EEG-Based Alzheimer’s Disease Diagnosis Using Relevance Vector Machines, IEEE Biosignals and Biorobotics Conference, May 2014. [C70] T. Falk, Electroencephalography-based Alzheimer’s Disease Diagnosis: Where we are at Now and Where we are Heading, Asilomar Conference on Systems, Signals, and Computers, invited paper. [C69] A. Avila, M. Santos, F. Fraga, and T. Falk, The Effect of Speech Rate on Automatic Speaker Verification: a Comparative Analysis of GMM-UBM and I-vector Based Methods, 12th Audio Engineering Conference (AES-Brazil), May 2014. [C68] K. Laghari, R. Gupta, S. Arndt, J-N. Antons, S. Möller, and T. Falk, Characterization of Human Emotions and Preferences for Text-to-Speech Systems Using Multimodal Neuroimaging Methods, IEEE CCECE’2014, May 2014. [C67] B. Chihani, K. Laghari, E. Bertin, D. Collange, and N. Crespi, and T. Falk, User-centric Quality of Experience Measurement, Intl Conf Mobile Computing, Applications and Services (MobiCASE), 2013. [C66] K. Laghari, R. Gupta, J. Antons, R. Schleicher, S. Möller, and T. Falk, Objective Characterization of Human Behavioural Characteristics for QoE Assessment: A Pilot Study on the Use of Electroencephalography Features, Globecom 2013 – Workshop on Quality of Experience for Multimedia Communications, 2013. [C65] S. Arndt, J. Antons, R. Gupta, K. Laghari, R. Schleicher, S. Möller, and T. Falk, The Effects of Text-to-Speech System Quality on Emotional States and Frontal Alpha Band Power, IEEE EMBS Neural Engineering Conference, 2013. [C64] R. Gupta, K. Laghari, S. Arndt, R. Schleicher, S. Möller, D. O’Shaughnessy, and T. Falk, Using fNIRS to Characterize Human Perception of TTS System Quality, Comprehension, and Fluency: Preliminary Findings, Intl Workshop on Perceptual Quality of Systems (PQS 2013). [C63] J.-N. Antons, K. Laghari, R. Schleicher, S. Arndt, T. Falk, and S. Möller, Neural correlates of Affective States and Speech Perception: Towards Quality-of-Experience Measurement of Reverberant Speech, AIA-DAGA 2013. [C62] S. Cosentino, T. Falk and D. McAlpine, Predicting the Bilateral Advantage in Cochlear Implantees using a Non-Intrusive Speech Intelligibility Measure, Interspeech 2013. [C61] S. Arndt, J. Antons, R. Gupta, K. Laghari, R. Schleicher, S. Möller, T. Falk, Subjective Quality Ratings and Physiological Correlates of Synthesized Speech, QoMEX 2013. [C60] H. Alshaer, F. Rudzicz, D. Bradley, T. Falk, W.-H. Tseng, Signs of Upper Airway Collapsibility in Snoring Sounds, EMBC’2013 (minisymposia). [C59] H. Alshaer, F. Rudzicz, D. Bradley, T. Falk, W.-H. Tseng, Classification of Vibratory Patterns of the Upper Airway During Sleep, EMBC’2013. [C58] K. Laghari, R. Gupta, S. Arndt, J.-N. Antons, S. Möller, R. Schleicher, and T. Falk, Neurophysiological Experimental Facility for Quality of Experience (QoE) Assessment, IFIP/IEEE Workshop on QoE Centric Management, 2013. [C57] J. Santos, N. Brosh, T. Falk, L. Zwaigenbaum, S. Bryson, W. Roberts, I. Smith, P. Szatmari, and J. Brian, Very Early Detection Of Autism Spectrum Disorders Based On Acoustic Analysis Of Pre-Verbal Vocalizations Of 18-Month Old Toddlers, ICASSP 2013. [C56] M. Paja, T. Falk, and D. O’Shaughnessy, Whispered speaker verification and gender detection using Weighted Instantaneous Frequencies, ICASSP 2013. [C55] T. Falk, S. Cosentino, J. Santos, D. Suelzle, and V. Parsa, Non-Intrusive Objective Speech Quality and Intelligibility Prediction For Hearing Instruments In Complex Listening Environments, ICASSP 2013. [C54] J.-N. Antons, K. Laghari, S. Arndt, R. Schleicher, S. Möller, D. O’Shaughnessy, and T. Falk, Cognitive, Affective, and Experience Correlates of Speech Quality Perception in Complex Listening Conditions, ICASSP 2013. [C53] F. Fraga, T. Falk, L. Trambaiolli, E. Oliveira, W. Pinaya, P. Kanda, R. Anghinah, Towards an EEG-Based Biomarker For Alzheimer’s Disease: Improving Amplitude Modulation Analysis Features, ICASSP 2013. [C52] K. Laghari, R. Gupta, S. Arndt, J.-N. Antons, S. Möller, R. Schleicher, D. O’Shaughnessy, and T. Falk, Auditory BCIs for Visually Impaired Users: Should Developers Worry About the Quality of Text-to-Speech Readers?, 5th Intl. BCI Meeting 2013. [C51] N. Brosh, J. Santos, T. Falk, L. Zwaigenbaum, S. Bryson, W. Roberts, I. Smith, P. Szatmari, and J. Brian, Acoustic Measurement of Prosodic Information in Toddlers with Autism Spectrum Disorders, 2013 International Meeting for Autism Research (IMFAR), abstract. [C50] R. Bou Serhal, J. Voix, T. Falk, Integration of a distance sensitive wireless communication protocol to hearing protectors equipped with in-ear microphones, International Congress on Acoustics, 2013. [C49] R. Bou Serhal, J. Voix, T. Falk, Providing both hearing protection and communication to miners without hindering the performance of one or the other, 23rd World Mining Congress, 2013, abstract. [C48] J. Santos, N. Peters, and T. Falk, Blind reverberation time estimation for non-speech signals, International Congress on Acoustics, 2013. [C47] S. Cosentino, J. Culling, T. Falk, T. Marquardt, and D. McAlpine, A Blind Binaural Speech Intelligibility Prediction Model, 36th MidWinter Meeting of the Association for Research in Otolaryngology, 2013, abstract. [C46] R. Bou Serhal, J. Voix, T. Falk, Towards a “Radio-Acoustic Virtual Environment” in Noisy Work Environments, NHCA 2013 Annual Hearing Conservation Conference, abstract. [C45] K. Laghari, F. Speranza, O. Issa, T. Falk, Quality-of-Experience Perception for Video Streaming Services: Preliminary Objective and Subjective Findings, APSIPA 2012, Special Session on Perception-based Multimedia Quality Assessment and Processing. [C44] N. Gaubitch, H. Loellmann, M. Jeub, T. Falk, P. Naylor, P. Vary, and M. Brookes, Performance Comparison of Algorithms for Blind Reverberation Time Estimation from Speech, IWAENC’2012. [C43] T. Falk, Y. Pomerantz, K. Laghari, S. Moller, and T. Chau, Preliminary Findings on Image Preference Characterization based on Neurophysiological Signal Analysis: Towards Objective QoE Modelling, QoMEX’2012. [C42] J. Santos, S. Cosentino, O. Hazrati, P. Loizou, and T. Falk, Performance Comparison of Intrusive Objective Speech Intelligibility and Quality Metrics for Cochlear Implant Users, Interspeech’2012. [C41] M. Paja and T. Falk, Automated Dysarthria Severity Classification for Improved Objective Intelligibility Assessment of Spastic Dysarthric Speech, Interspeech’2012. [C40] S. Cosentino, T. Marquardt, D. McAlpine, and T. Falk, Towards Objective Measures of Speech Intelligibility for Cochlear Implant Users in Reverberant Environments, ISSPA’2012 Best Paper Award Winner. [C38] K Mengistu, F. Rudzicz, and T. Falk, Using Acoustic Measures to Predict Automatic Speech Recognition Performance for Dysarthric Speakers, MAVEBA 2011. [C37] C. Zheng, T. Falk, and W.-Y. Chan, An Assessment of the Improvement Potential of Time-Frequency Masking for Speech Dereverberation, Interspeech 2011. [C36] R. Hummel, T. Falk, and W.-Y. Chan, Spectral Features for Automatic Blind Intelligibility Estimation of Spastic Dysarthric Speech, Interspeech 2011. [C35] L. Trambaiolli, T. Falk, F. Fraga, A. Lorena, R. Anghinah, EEG Spectro-Temporal Modulation Energy: a New Feature for Automated Diagnosis of Alzheimer’s Disease, EMBC 2011. [C34] T. Falk, R. Hummel, and W.-Y. Chan, Quantifying Temporal Perturbations for Spastic Dysarthric Speech Intelligibility Assessment, Intl. Conf. Acoustics, Speech Signal Process., 2011. [C33] F. Hinterleitner, S. Möller, T. Falk, and T. Polzehl, Comparison of Approaches for Instrumentally Predicting the Quality of Blizzard Text-To-Speech Systems, Intl. TTS Challenge Workshop, 2010. [C32] S. Möller, F. Hinterleitner, T. Falk, and T. Polzehl, Comparison of Approaches for Instrumentally Predicting the Quality of Text-to-Speech Systems, Interspeech, 2010. [C31] E. Lu, G. Teachman, T. Falk, and T. Chau, A Dual-Output Sound-Based Access Solution for Individuals with Complex Communication Needs, Conf. Intl. Society Aug. Altern. Commun., 2010. [C30] T. Falk, K. Paton, and T. Chau, Improving the Performance of NIRS Brain-Computer Interfaces in the Presence of Acoustic Background Noise, Intl. Conf. Acoustics, Speech Signal Process., 2010. [C29] M. Guirgis, T. Falk, S. Power, S. Blain, and T. Chau, Harnessing Physiological Responses for Improved BCI Performance, Intl. Biosignals and Biorobotics Conf., 2010. [C28] A. Huang, T. Falk, W.-Y. Chan, V. Parsa, and P. Doyle, Reference-Free Automatic Quality Assessment of Tracheoesophageal Speech, IEEE EMBS Conf., 2009. [C27]S. Wu, T. Falk, and W.-Y. Chan, Automatic Recognition of Speech Emotion Using Long-Term Spectro-Temporal Features, Intl. Conf. Digital Signal Process., 2009. [C26] S. Möller and T. Falk, Quality Prediction for Synthesized Speech, Intl. Conf. on Acoustics, 2009. [C25] T. Falk, S. Möller, V. Karaiskos, and S. King, Improving Instrumental Quality Prediction Performance for the Blizzard Challenge, Intl. TTS Challenge Workshop, 2008. [C23] T. Falk and W.-Y. Chan, Modulation Spectral Cues for Robust Far-Field Speaker Identification, Intl. Conf. Spoken Lang. Process., 2008. [C22] S. Wu, T. Falk and W.-Y. Chan, Long-Term Spectro-Temporal Information for Improved Automatic Speech Emotion Classification, Intl. Conf. Spoken Lang. Process., 2008. [C21] T. Falk and W.-Y. Chan, Modulation Filtering for Heart and Lung Sound Separation from Breath Sound Recordings, IEEE EMBS Conf., 2008. [C20] T. Falk, Y. Guo, and W.-Y. Chan, Improving Robustness of Image Quality Measurement with Degradation Classification and Machine Learning, Conf. Signals, Systems and Comput., 2007. [C19] T. Falk, H. Yuan, and W.-Y. Chan, Spectro-Temporal Processing for Blind Estimation of Reverberation Time and Speech Quality Measurement, Intl. Conf. Spoken Lang. Process., 2007. [C18] T. Falk, S. Stadler, B. Kleijn, W.-Y. Chan, Noise Suppression Based on Extending a Speech-Dominated Modulation Band, Intl. Conf. Spoken Lang. Process., 2007. [C17] H. Yuan, T. Falk, and W.-Y. Chan, Degradation-Classification Assisted Single-Ended Quality Measurement of Speech, Intl. Conf. Spoken Lang. Process., 2007. [C16] H. Yuan, T. Falk, W.-Y. Chan, Classification of Speech Degradations at Network Endpoints Using Psychoacoustic Features, Canadian Conf Electr Comput Eng, 2007. [C15] T. Falk, H. Yuan, and W.-Y. Chan, A Hybrid Signal-and-Link-Parametric Approach to Quality Measurement of Packet Speech, Intl. Conf. Acoustics, Speech Signal Process., 2007. [C14] Y. Zeng, Z.-Y. Wu, T. Falk, and W.-Y. Chan, Robust GMM-Based Gender Classification Using Pitch and RASTA-PLP Parameters of Speech, Intl. Conf. Machine Learning Cybernetics, 2006. [C13] T. Falk, H. Shatkay, and W.-Y. Chan, Breast Cancer Prognosis via Gaussian Mixture Modeling, Canadian Conf. Electr. Comput. Eng., 2006. [C12] T. Falk, W.-Y. Chan, Enhanced Non-Intrusive Speech Quality Measurement Using Degradation Models, Intl. Conf. Acoustics, Speech Signal Process., 2006. [C11] T. Falk, W.-Y. Chan, and P. Kabal, An Improved GMM-based Voice Quality Predictor, European Conf. Speech Commun. Technol. – Interspeech, 2005. [C10] T. Falk and W.-Y. Chan, A Sequential Feature Selection Algorithm for GMM-based Speech Quality Estimation, European Signal Proc. Conf., 2005. [C8] T. Falk and W.-Y. Chan, Feature Mining for GMM-based Speech Quality Measurement, Asilomar Conf. on Signals, Systems and Computers, 2004. [C7] Y. Zhou, W.-Y. Chan, and T. Falk, Multiple-Channel Optimized Quantizers for Rayleigh Fading Channels, Asilomar Conf. on Signals, Systems and Computers, 2004. [C6] T. Falk, W.-Y. Chan, and P. Kabal, Speech Quality Estimation Using Gaussian Mixture Models, Intl. Conf. on Spoken Lang. Proc., 2004. [C5] T. Falk and W.-Y. Chan, Objective Speech Quality Assessment Using Gaussian Mixture Models, Biennial Symposium on Comm., 2004. [C4] C. Pimentel, T. Falk, and L. Lisboa, Finite-State Markov Modeling of Rician Fading Channels, Canadian Workshop on Inf. Theory, 2003. [C3] C. Pimentel, T. Falk, and L. Lisboa, Finite-State Markov Modeling of Rayleigh Fading Channels, IEEE Intl. Telecom. Symposium, 2002. [C2] H. de Oliveira, T. Falk, and L. Soares, A Family of Wavelets and a New Orthogonal Multiresolution Analysis Based on the Nyquist Criterion, IEEE Intl. Telecom. Symposium, 2002. [C1] H. de Oliveira, T. Falk, Wavelet Decomposition over Finite Fields, Brazilian Telecom. Symposium, 2001. [BC10]	L. Trambaiolli and T. Falk, Hybrid Brain-Machine Interfaces: A Review of Existing Solutions, their Advantages and Open Challenges, chapter 10, in Smart Wheelchairs and Brain-computer Interfaces, (Editor: Pablo Diez), Academic Press, 2018, pp. 229-256. 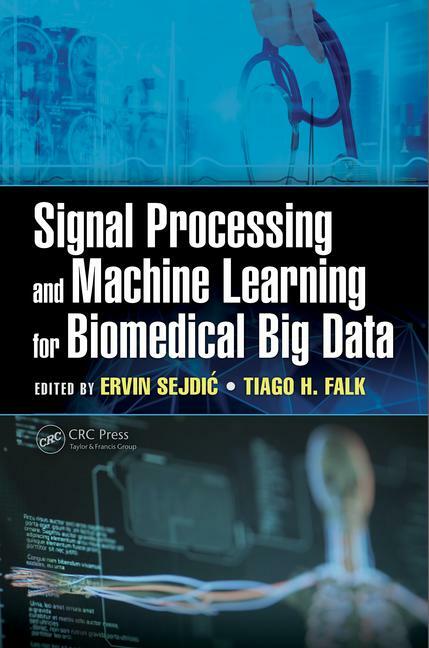 [BC9] T. Falk and E. Sejdic, Signal Processing in the Era of Biomedical Big Data, Chapter 1 in Signal Processing and Machine Learning for Biomedical Big Data (Editors: E. Sejdic and T. Falk), CRC Press, July 2018. [BC8] R. Cassani and T. Falk, Spectro-temporal Modeling of Biomedical Signals: Theoretical Foundation and Applications, in Reference Module in Biomedical Sciences, Elsevier, 2018. [BC7] H. Al Osman and T. Falk, Multimodal Affect Recognition: Current Approaches and Challenges, in Emotion and Attention Recognition Based on Biological Signals and Images (Ed. Seyyed Abed Hosseini), In-Tech Publishing, Chapter 5, pp.59-86, Feb. 2017. [BC6] B. Chihani, K. Laghari, E. Bertin, D. Collange, N. Crespi, T. Falk, User-Centric Quality of Experience Measurement, in Mobile Computing, Applications, and Services – Lecture Notes of the Institute for Computer Sciences, Social Informatics and Telecommunications Engineering, G. Memmi and U. Blanke (Eds. ), Springer, Volume 130, 2014, pp 33-46. [BC5] K. Paton, T. Chau, and T. Falk, Client-centred Music Imagery Classification Based on Hidden Markov Models of Baseline Prefrontal Hemodynamic Response, in Brain-Computer Interface Systems – Recent Progress and Future Prospects, R. Fazel-Rezai (Ed. ), In-Tech Publishing, Chapter 7, pp. 137-154, 2013. [BC4] W.-Y. Chan and T. Falk, Machine Assessment of Speech Communication Quality, in Mobile Communications Handbook, 3rd Edition, Chapter 30, pp. 587-602, CRC Press, 2012. [BC3] N. Alves, S. Blain, T. Falk, B. Leung, N. Memarian, T. Chau, Access Technologies for Children and Youth with Severe Motor Disabilities, in Paediatric Rehabilitation Engineering: From Disability to Possibility, CRC Press, Chapter 3, pp. 45-84, 2011. [BC2] T. Falk, W.-Y. Chan, E. Sejdic, and T. Chau, Spectro-Temporal Analysis of Auscultatory Sounds, in Recent Advances in Biomedical Engineering, In-Tech Publishing, Chapter 5, pp. 93-104, 2010. [BC1] J. Torres-Solis, T. Falk , T. Chau, A Review of Indoor Localization Technologies, in Ambient Intelligence, In-Tech Publishing, Chapter 3, pp. 51-84, 2010. [O7] T. Falk and T. Didar, Introduction to the Special Issue on Recent Advances in Biomedical Engineering, Journal of Medical and Biological Engineering, March 2018, pp. 1-2. [O6] T. Falk, D. Vallejo, S. Jarayaman, Method and System for Determining Heart Rate Variability, Provisional patent application number: 62/444,534. Filed on January 10, 2017. [O5] J. Voix, R. Bouserhal, and T. Falk, Device and Method for Improving the Quality of In-Ear Microphone Signals in Noisy Environments, USPTO: 62/332861; filed May 6, 2016. [O4] T. Falk, MuSAE Lab Research: From Anthropomorphic Speech Technologies to Human-Machine Interfaces and Health Diagnostics Tools, Journal of the Canadian Acoustical Association, Special Issue on l’Annuaire de l’Acoustique à Montréal, Vol. 43, No. 2, June 2015. [O3] T. Falk, D. Vallejo, M. Maier, Method and System for Evaluating a Noise Level of a Biosignal, US patent application number:61/941,842, Filed on February 19, 2014. International PCT filed on February 17, 2015. Canada: 2,937,693; approved July 22, 2016. [O2] W.-Y. Chan, T. Falk, and Q. Xu, Single-Sided Speech Quality Measurement, US patent application, filed by Avaya Inc (formerly Nortel), Application number: 13/195,338; Publication number: US 2011/0288865 A1; Filing date: Aug 1, 2011. [O1] S. Möller and T. Falk, Single-Ended Quality Estimation of Synthesized Speech: Analysis of the Recommendation P.563 Internal Signal Processing, ITU-T Contribution COM-12-180, 2008. [PhD6] M. Paja, Towards Multiple Vocal Effort Speaker Verification : Exploring Speaker-Dependent Invariant Information Across Vocal Efforts, INRS-EMT, Montreal, QC, Canada, 2017. [PhD5] D. Vallejo, Modulation Spectrum Analysis for Noisy Electrocardiogram Signal Processing and Applications, INRS-EMT, Montreal, QC, Canada, 2017. [PhD4] R. Gupta, Physiology-based Quality-of-Experience Assessment for Next Generation Multimedia Technologies, INRS-EMT, Montreal, QC, Canada, 2016. [PhD3] R. Bouserhal, Speech Bandwidth Extension and Vocal Effort Coding for Enhanced Communication in Noisy Industrial Environments, ÉTS, Montreal, QC, Canada, 2016. [PhD2] S. Cosentino (visiting PhD student, 2012), Development and Evaluation of Objective Measures to Predict the Speech Intelligibility of Unilateral and Bilateral Cochlear Implant Users in Noise and Reverberation, University College London, 2014. [PhD1] T. Falk, Blind Estimation of Perceptual Quality for Modern Speech Communications, Queen’s University, Kingston, ON, Canada, 2008. [MSc6] S. Bedoya, Acoustic and Prosodic Analysis of Pre-Verbal Vocalizations of 18-Month Old Toddlers With Autism Spectrum Disorder, INRS-EMT, Montreal, QC, Canada, 2017. [MSc5] A. Drouin-Picaro, Modèle Hiérarchique pour l’Amélioration de l’Évaluation de l’État Mental de l’Opérateur à l’Aide de Technologies Portables (Hierarchical Model for Improved Operator Functional State Assessment Based on Wearables), INRS-EMT, Montreal, QC, Canada, 2017. [MSc4] A. Clerico, New Features for Automated Affective State Recognition Using Multimodal Brain-Computer Interfaces, INRS-EMT, Montreal, QC, Canada, 2016. [MSc3] H. Banville, Hybrid Brain-Computer Interfaces: Improving Mental Task Classification Performance through Fusion of Neurophysiological Modalities, INRS-EMT, Montreal, QC, Canada, 2015. [MSc2] J. Santos, A Non-intrusive Objective Speech Intelligibility Metric Tailored for Cochlear Implant Users in Complex Listening Environments, INRS-EMT, Montreal, QC, Canada, 2013. [MSc1] T. Falk, Objective Speech Quality Estimation using Gaussian Mixture Models, Queen’s University, Kingston, ON, Canada, 2005.